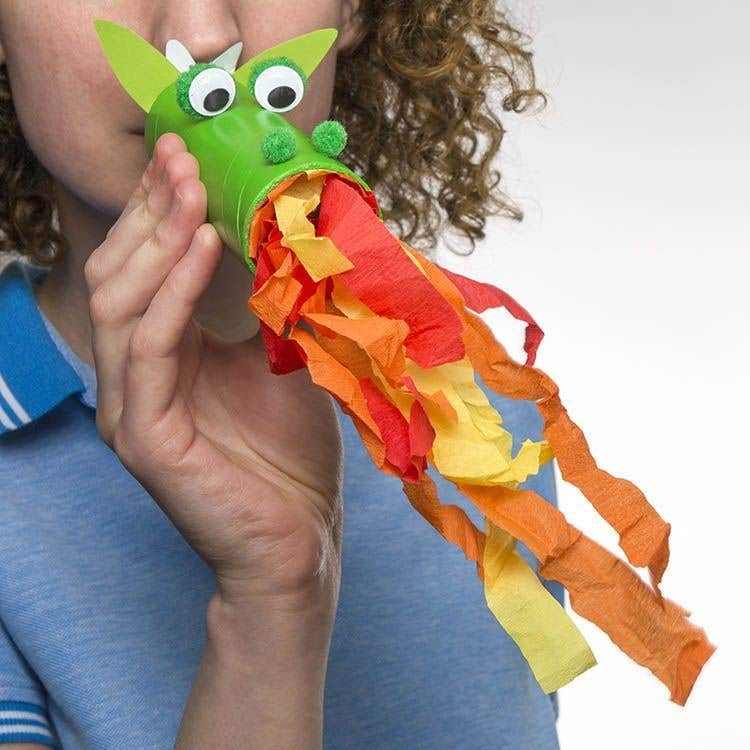 Create this fun interactive fire breathing dragon head by up-cycling a kitchen towel core. Cut a kitchen towel tube in half. Paint green using leaf green acrylic paint. Leave to dry. Add another coat. Leave to dry. 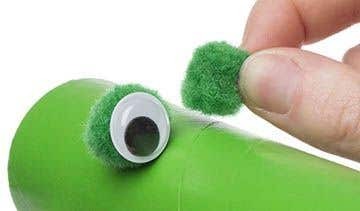 Take two medium sized green pom poms and stick on top of the kitchen towel tube for the dragons eyes. Stick in front of the pom poms 2 wiggle eyes. Take two small green or black pom poms and stick to end of the tube at the top for the dragons nostrils. Cut two long triangles from green paper for the dragons ears. 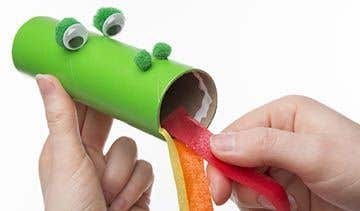 Fold the bottom of the ear to make a tab and attach to one side of the top of the inside of the tube behind the eyes using glue dots. Repeat this step with the other ear and attach. Cut two smaller triangles from white card for the dragons horns. Fold the bottom of the horn to make a tab and attach both horns in between the ears to the top of the inside of the tube using glue dots. Take a sheet of red, orange and yellow tissue paper and cut into strips. On the end with the dragons mouth, place PVA glue around the inside of the end of the tube. Stick the ends of the strips of tissue paper all around the inside of the end of the tube. Leave to dry. Take a deep breath and blow through the end of the tube where the dragons ears are and watch the flames blow! 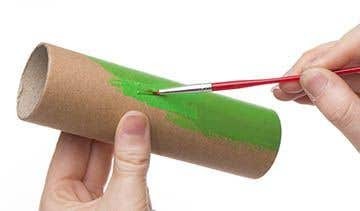 Remember to cover the base of the tube with lots of strips of tissue paper without leaving any gaps. This is to ensure that when you blow through the tube the air gets trapped and makes the tissue paper strips flutter when the air escapes.